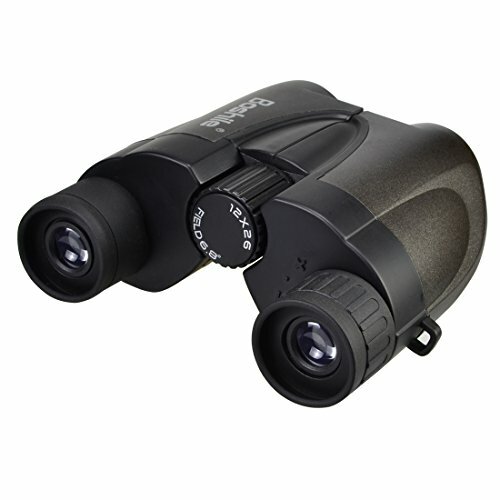 HIGH PROWERED FIELD & LOW NIGHT VISION - 12x magnification with 25 mm objective lens, you even can get a wide view of 362 feet diameter at 1000 yards far away. You can see the stuffs clearly in weak light condition(NOT DARK). LARGE FIELD OF VIEW - Focusing in on your target for brilliant detail at 1000 yards away. LIGHTWEIGHT & FOLDABLE - Contemporary styling, lightweight and can be folded coming with a portable bag and a neck strap in the package, very convenient and easy to carry, fit for hunting, hiking, exploring, viewing, sailing, bird watching, concert, outdoor sports etc. GUARANTEED FOR LIFE - Don\'t Settle for Cheap LuvisR When You Can Get Beginner Bird Watching Binoculars Made By the Best: Durable, Non-Slip and Backed By a 30 Day Money-Back Guarantee PLUS Lifetime Warranty.